Get a Quote Need Solar ? Our team of expert technicians can provide you with any solar care services you need at a reasonable price. 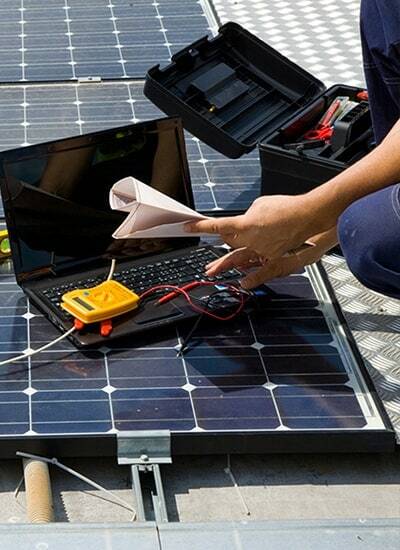 Solar Maintenance Pros can perform any solar project under the sun from full system installation to panel cleaning. Know you have an expert technician working on your system, everything from system repair and upgrades to panel cleanings. High solar production means low electricity bills. Keep your system running in top shape by scheduling one of our many services today! Having your solar serviced regularly by a professional can increase production efficiency and reduce possibility of system failure. Maximize your potential solar savings with Pros services. Keep solar production high and bills low with our panel cleaning, inspection, and monitoring combo package for just $19.95/mo. 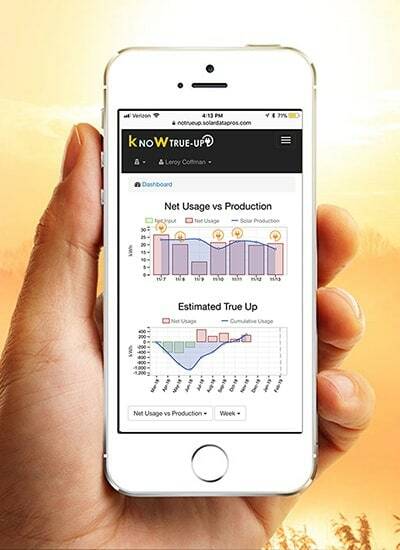 Sign up for your free trial of our exclusive solar monitoring software today. Experiencing production issues? Have one of our technicians perform a quick inspection. “Their crew was very friendly, the workers were efficient and wore safety equipment which impressed me. I don't think they were here more than 1/2 hour setting up, cleaning panels, and clean up. Highly recommend."  “Thank you Solar Maintenance Pros for having the best customer service, prices & all around service! We are very pleased to have done business with you & will be a forever customer. I recommend you to everyone I know!!" “Excellent experience from the appointment to the tech who preformed the service cleaning. This was our first time having our panels cleaned and plan to use their team for all my future service cleanings." "Always pleasant to work with Solar Maintenance Pros. They regularly communicate with us before service visits. Panel cleanings to keep our system optimized, everything is as it should be on our roof!" Choose from our affordable monthly packages to customize the right level of service for you. Pick a plan and fill out our customer profile form to get started today. Clean panels = higher efficiency. Get the most out of your system with regular panel cleanings from our team of expert technicians. Know that your system doesn’t have any major issues by having our team perform a quick visual “check-up”. Catch system issues quickly to eliminate down time and unwanted costs associated with low solar production. service@solarmaintenancepros.com Email us directly for a quote! services we offer to existing solar customers. 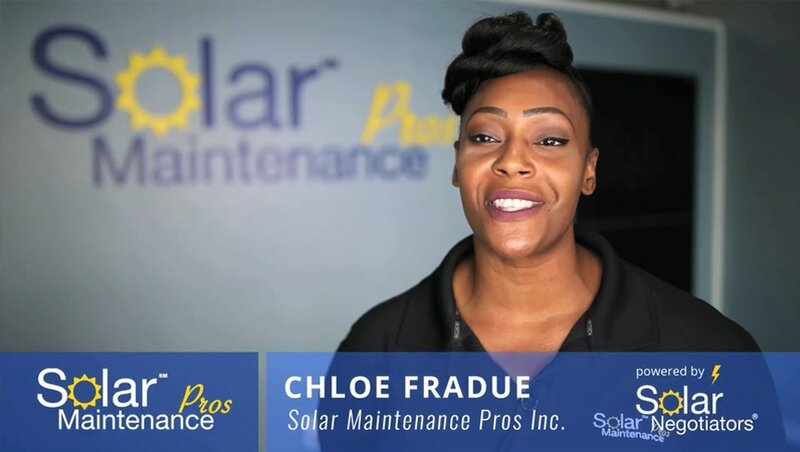 Solar Maintenance Pros Inc. @2019. All Rights Reserved.